An entire year had passed since the disapperance of Alison DiLaurentis, causing five bestfriends to go their seperate ways. None of them were ever able to speak about what happened that night, and the many before that. A year later, an anonymous user begins to threaten them with their secrets. They are forced to come back together and try to defeat the source, before it destroys them. 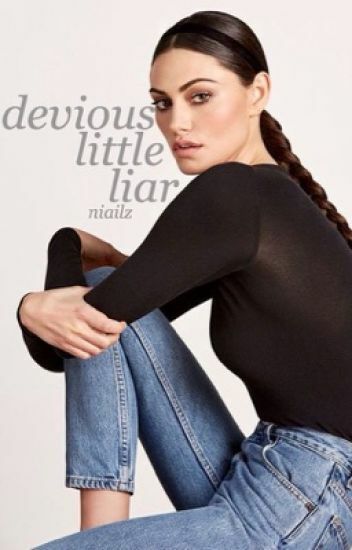 They all have their secrets, but one liar, Madison Halpert, is the most devious and darkest of them all, and the choices she makes have severe consequences. I do not own any rights to Pretty Little Liars. All characters except Madison Halpert and her family/storyline belong to Marlene King and Sara Shepard. "Hush, Hush, Lia. It's time for you to go to bed.. -A"
"What a wicked game you played to make me feel this way." Jo Jameson doesn't need help. At least that's what she tells everyone. Following the disappearance of her best friend, she's made a lot of changes -- be it from the hair dye or the pills. Although, the world around her hadn't changed with her. Stuck in a dreary town of whispers and onlookers, Jo pops another pill to get through the day. Her life resembles that of a zoo animal as everyone stares at the girl who mysteriously lost her friend. It's a chest-tightening feeling to be trapped in that cage as the ghosts of her secret past weigh her down. But when those secrets crawl from the grave in the form a text, Jo begins to realize just how much she wished to be in that cage once more. Perfect. When people hear the last name Harrington, that's the first word they think of. All her life, Grace was told to be perfect. She needed to have the perfect body, grades, clothes, attitude. Perfect everything. By her parents, grandparents, her sister, aunts and uncles. And she tried. My god, she tried. She didn't want to let anyone down. Grace didn't care what happened to her, as long as she was perfect.
" why don't you act like this around everyone else? " " because with you i'm not around anyone else. it's stress free. " with A locked up in radley, they thought their problems were all washed away. boy, were they wrong. Madison Halpert is a liar. She's devious, dangerous and part of the A team. She never meant for things to get this bad, but they did. And now she has a choice to make, will she help her friends or will the A game be too tempting? ❝Lies and secrets, Grace, they are like cancer in the soul. In the town of Rosewood, no one dares speaks of Grace Marin, Hanna's older sister. She is a whisper in the wind, someone the town used to know. But one day, she gets a phone call from her mother, demanding her presence back in Rosewood, because her old friend, Ian Thomas, was dead. When she returns, she brings hell, as Hanna Marin and her friends weren't the original LIARS in Rosewood. Pennsylvania Gallagher thought her sins would wash away upon coming back to Rosewood. She didn't know just how inexplicably wrong she was.